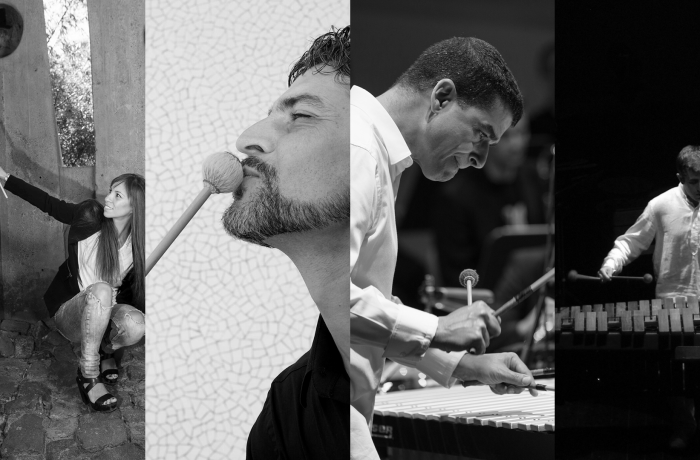 T Percussion is a new artistic concept being introduced at this edition of the Lanzarote Visual Music Festival, showing the most vibrant side of classic and contemporary percussion. The importance of percussion instruments, such as the marimba and the vibraphone, with the powerful sound of instruments with electronic music nuances, will make this concert an unforgettable musical experience full of surprising sounds and colours. Sound and music from different parts of the world like Japan, America, Serbia and the Canary Islands come together resulting in an enticing programme. Pure emotion and new sounds for the audience. The band, made up of professional Canarian musicians, will perform pieces by well-known musicians such as N. J. Zivkovic, Keiko Abe, Bruce Hamilton, L. H. Stevens and F. Hernández.